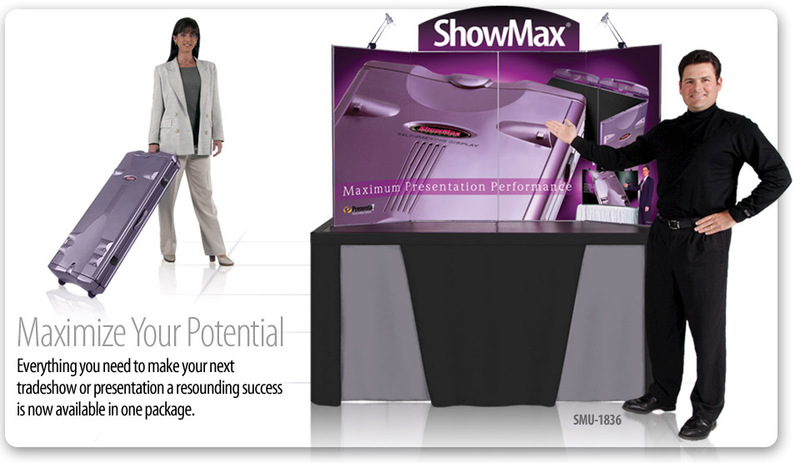 The original ShowStyle Briefcase Tabletop Display Two 50w halogen lights and bag with storage area. 14 sq. ft. of graphic area, 77% larger than the original ShowStyle. Overall specifications as well as panel and graphics sizes.